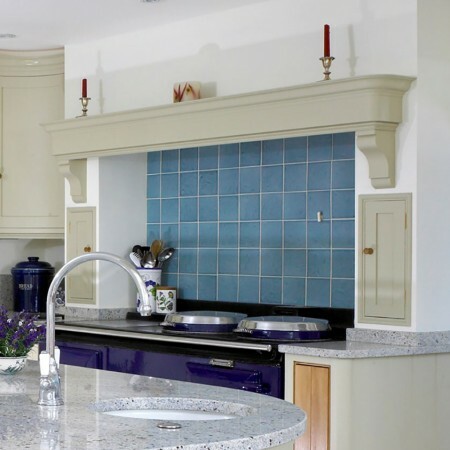 A requirement for this kitchen in a Georgian country home was that the existing and awkwardly sited AGA would remain in its position. 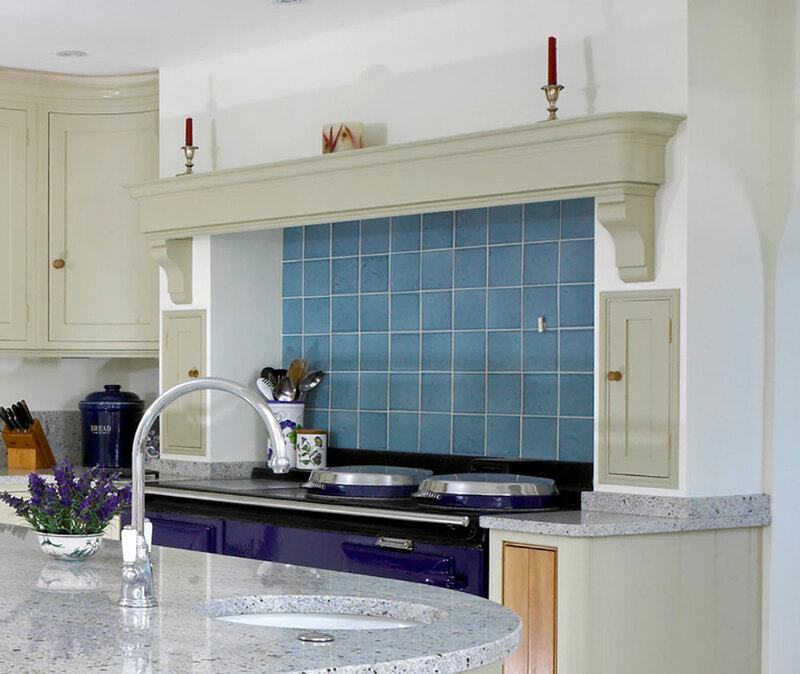 We created a fake chimney breast to frame the AGA with cupboards set into the pillars and a mantle shelf painted in Farrow and Ball Fawn to match the rest of the kitchen. 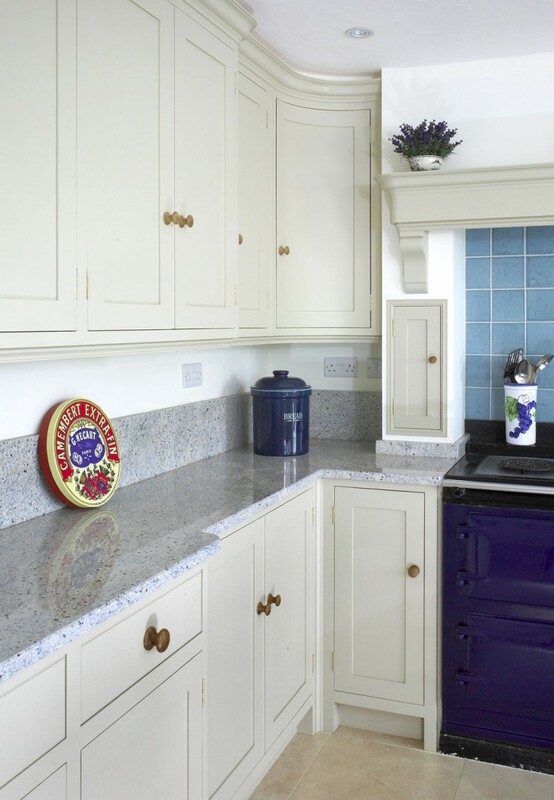 The space behind the AGA was filled with hand made Marlborough Tiles. 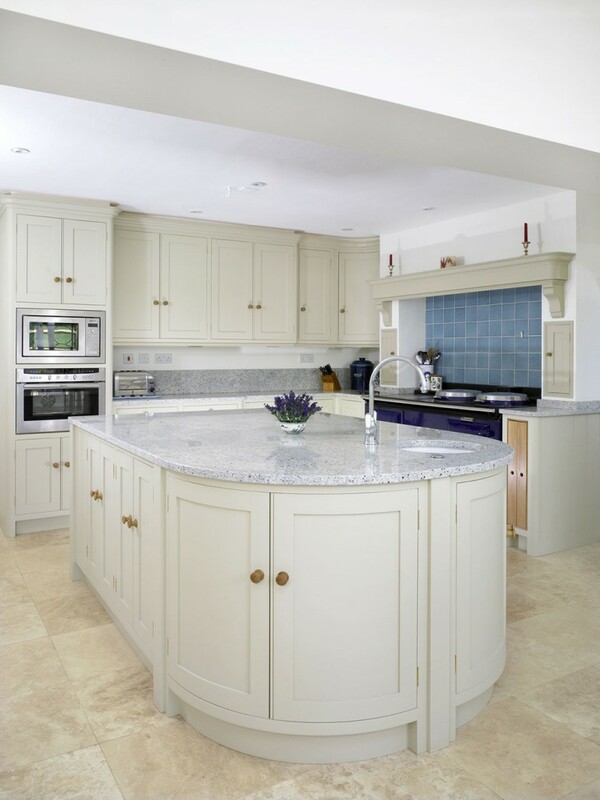 Curved and narrow cabinets were required to maximise storage in the remaining wall and floor space. 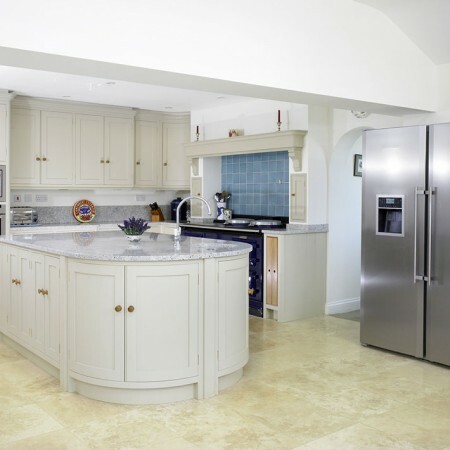 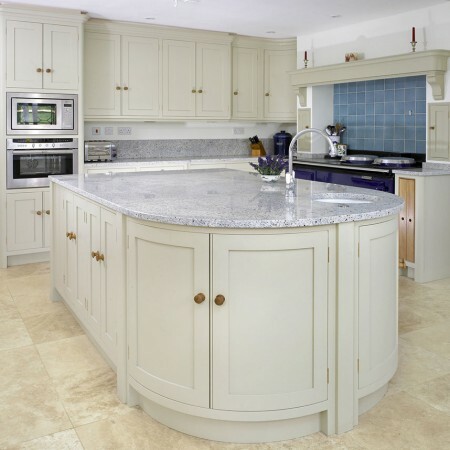 As worktop space around the perimeter of the kitchen is restricted by the AGA, a large island with a preparation sink provides ample area for preparing food. 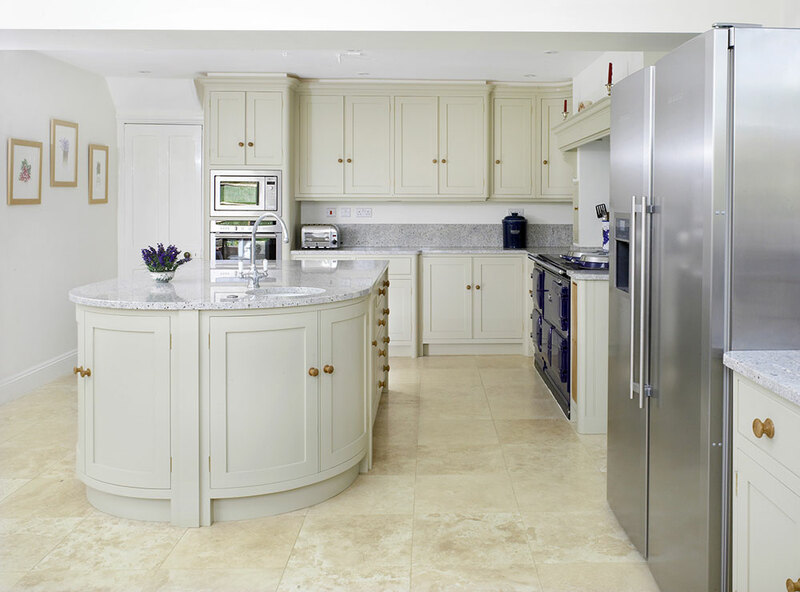 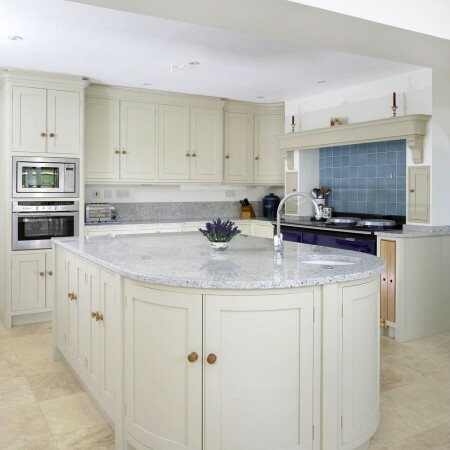 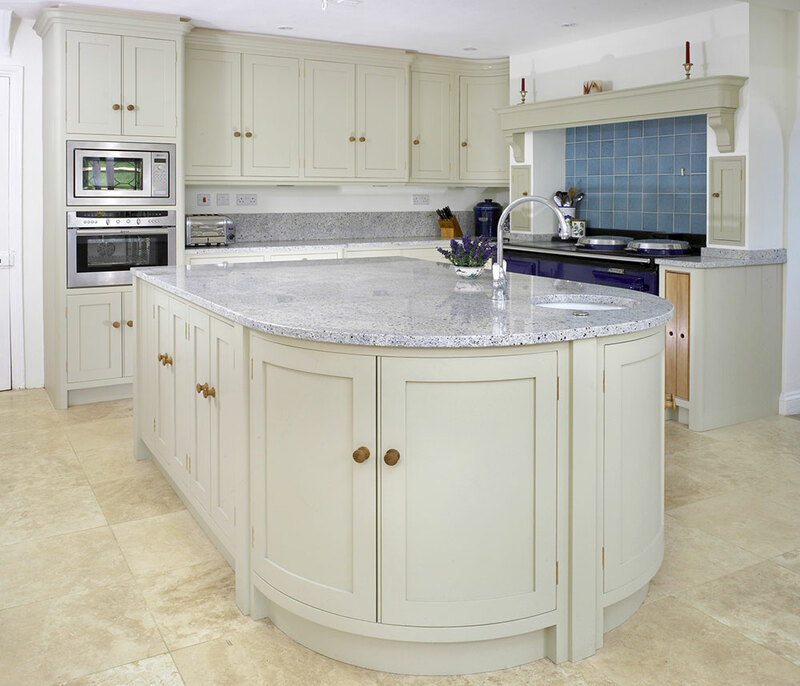 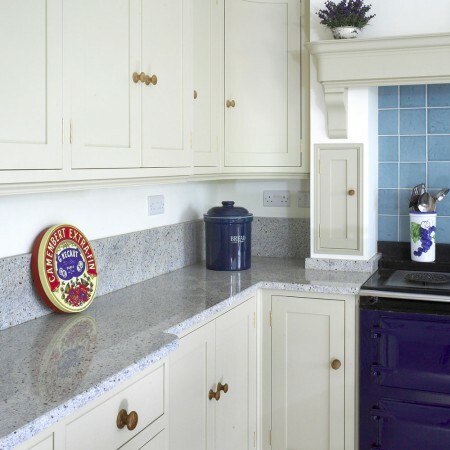 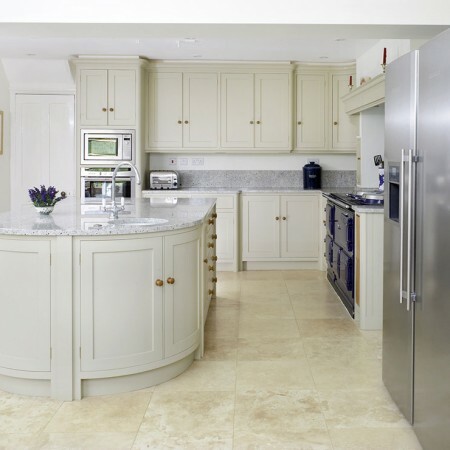 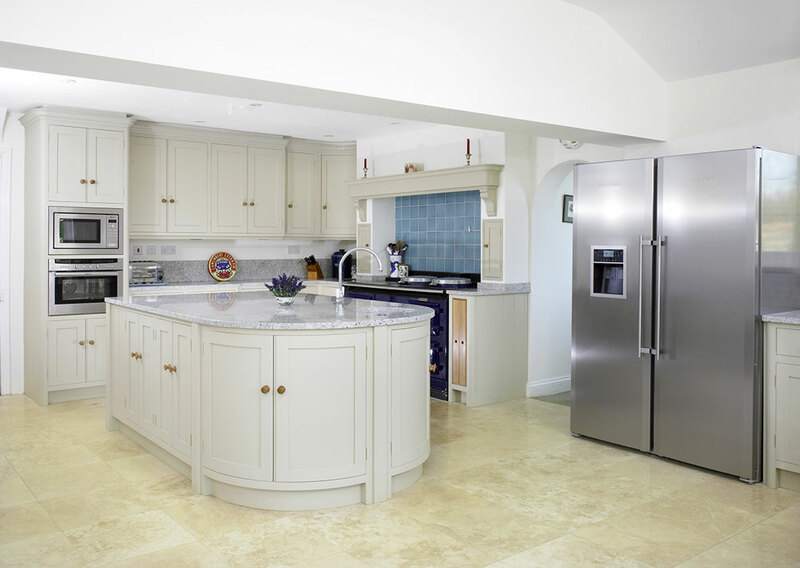 Stunning Kashmir White granite worktops provide a light and durable surface.